Pray - God's work needs to be undergirded with the prayers of his people. Please pray for the administration, the faculty, and the students of ZCC. Also, pray that the basic needs of the college would be met. Give - The college continues to expand its ministry with the addition of new facilities and programs, but the regular needs of the college and these expansion plans can only be met through the gifts of God's people. 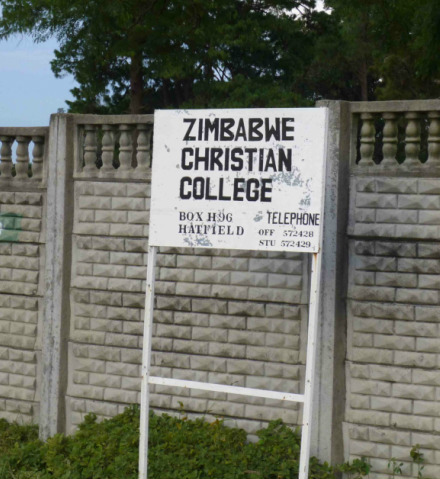 If you would like to partner financially with Zimbabwe Christian College, please send your check made to Zimbabwe Christian College to Dr. Marshall Hayden, US Agent, 8145 North High Street, Columbus, OH 43235. Remember that you can support one student for a whole semester for only $600.